3rd Annual Model the Way Sustainable Leadership Awards! Please join us for an incredible night of delicious food, tasty drinks, and fantastic people as we recognize the life-changing work being done in the Portland community! 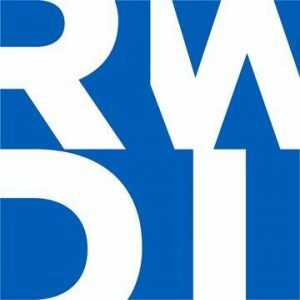 Since 2017, Lloyd EcoDistrict has been hosting the Model the Way Awards as a way to recognize those community members who share our passion for creating places that are welcoming, resilient, and sustainable. This event also helps raise needed funds to support our work. Through your generous support, Lloyd EcoDistrict is able to fund projects that make Lloyd a home for both residents and visitors alike. Our LED retrofit program LAMP reduces energy use and provides funding to create affordable housing and job training. Lloyd consistently outperforms the rest of the city in terms of energy efficiency. 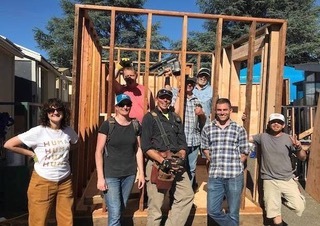 We built 5 tiny homes and 20 solar-powered charging stations, as well as provided 80 sleeping bags, for the houseless community R2DToo. 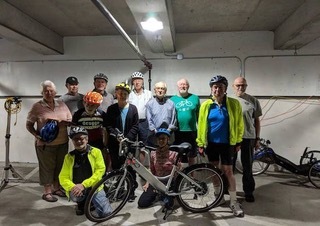 We inspired Lloyd residents from 5 apartments, condos and a retirement center to compete with each other through our eBike program, Lloyd Spark, while having fun and reducing traffic. 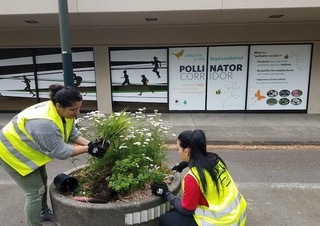 Our placemaking projects like the Pollinator Corridor help regenerate the local bee population and make our streets safer. 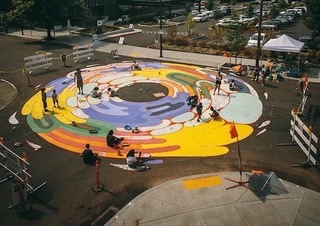 The Intersection Mural Project brought community members together to create a colorful point of pride for Lloyd. Please join us to celebrate the amazing work that is being done right here in Portland, and to support our work creating vibrant, equitable, and resilient urban ecosystems. Thank you to our Keystone Sponsors, the Portland Trail Blazers and Rose Quarter, for supporting the work we do and for helping make this special night happen. Click here to learn more about last year’s Model the Way awards and read about the 2018 winners.